It was another good (long) weekend for the two most senior age categories on the men’s side of the ITFC Academy programme. Last night (Monday 29th October), our Under 23s travelled to Bath to face Bristol City. Gerard Nash and Chris Hogg’s side came out on top with an impressive 2-0 win, following an own goal and a Shane McLoughlin penalty. The win means that Town sit proudly at the top of the Professional Development League 2 table. 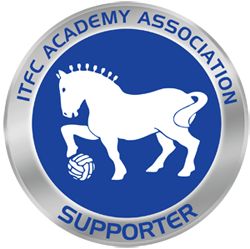 To find out how you or your company can get involved in Academy Association sponsorship – including Scholar Sponsorship of our Under 18s players – please call 01473 400510 or email theo.benneworth@itfc.co.uk.